The Ifugao Rice Terraces are UNESCO World Heritage monuments that attest to the ingenuity and communitarian management of Cordilleran people of Luzon in the Philippines. Once thought to be over 2,000 years old, our recent work has demonstrated that the upland rice field systems in the region were responses to the social and political pressure from intrusive Spanish colonization into the region starting at c. AD 1600. Shortly after the arrival of the Spanish in the northern Philippines, we see the emergence and rapid expansion of wet-rice cultivation in the highlands. The shallow time-depth of the origins of the highland agricultural terraces provides interesting questions for anthropologists, particularly on the impacts of colonialism to populations who did not have direct and/or intense interaction with the colonizing power. This research program aims to provide another dimension in the study of Spanish colonialism, as this will be the first intensive research program that looks at Spanish colonialism in Asia. Our work contributes to anthropology and archaeology by investigating the economic and political options available to indigenous peoples impacted by powerful colonial forces. The project emphasizes the observation that indigenous minorities were not passive spectators during the colonization process. 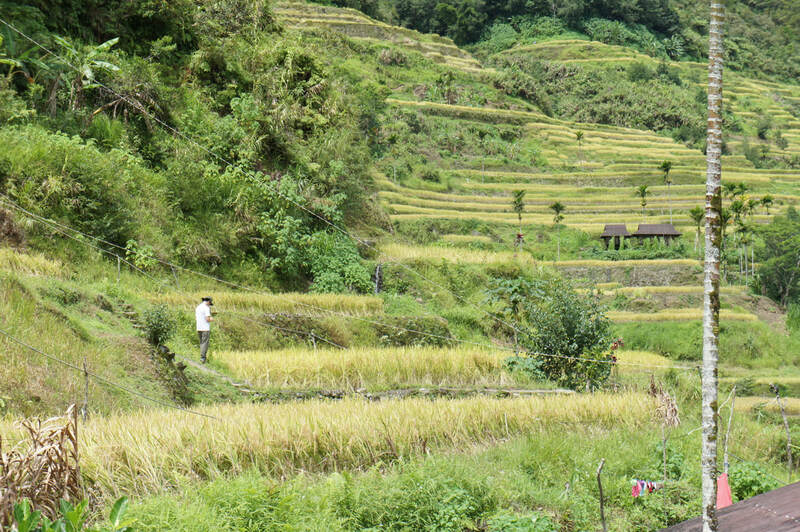 The complexity of terrace construction, use, and maintenance has led to a proposition of a long-history of the Ifugao terraces – a 2,000-year old inception proposed by Barton (1919) and Beyer (1955). Recent work by the PI in the region, however, suggests a more recent origin. In addition, results of the 2012 and 2013 field seasons of the IAP strongly indicate that the introduction of wet rice varieties in the northern Philippine highlands post-date the arrival of the Spanish at ca. AD 1575 in the northern Luzon, Philippines. The appearance of wet rice in the region also signaled an increase in social differentiation in the Old Kiyyangan Village. The Old Kiyyangan Village was the largest village in Ifugao that the Spanish encountered in the late 1700s (Antolin 1789). Initial excavations in the site signify the village could be the most important archaeological finding in the northern Philippine highlands so far. The IAP utilizes archaeological survey and field methods to detect and recover archaeological materials. Activities associated with the project provide an excellent learning environment for students, where the importance of scientific and interdisciplinary research is emphasized.